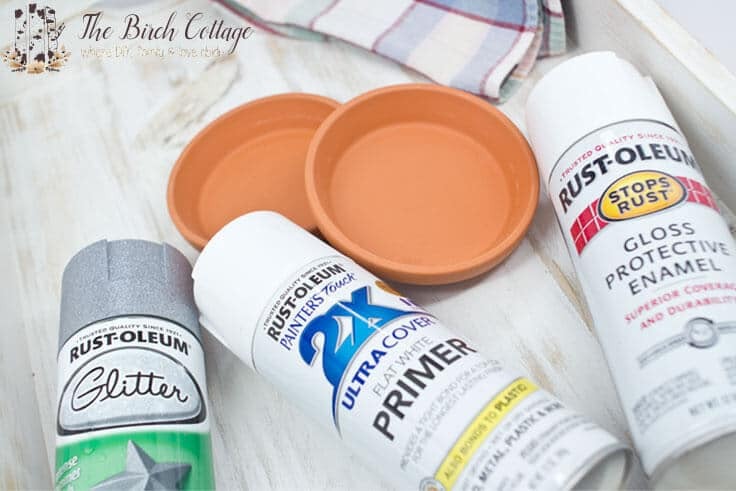 Learn how to paint terra cotta pots with white spray paint in this easy tutorial. You can use any color to spray paint terra cotta! 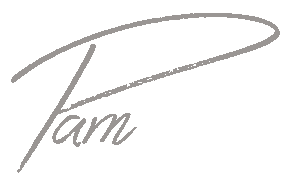 Hello, Ideas for the Home by Kenarry™ friends! 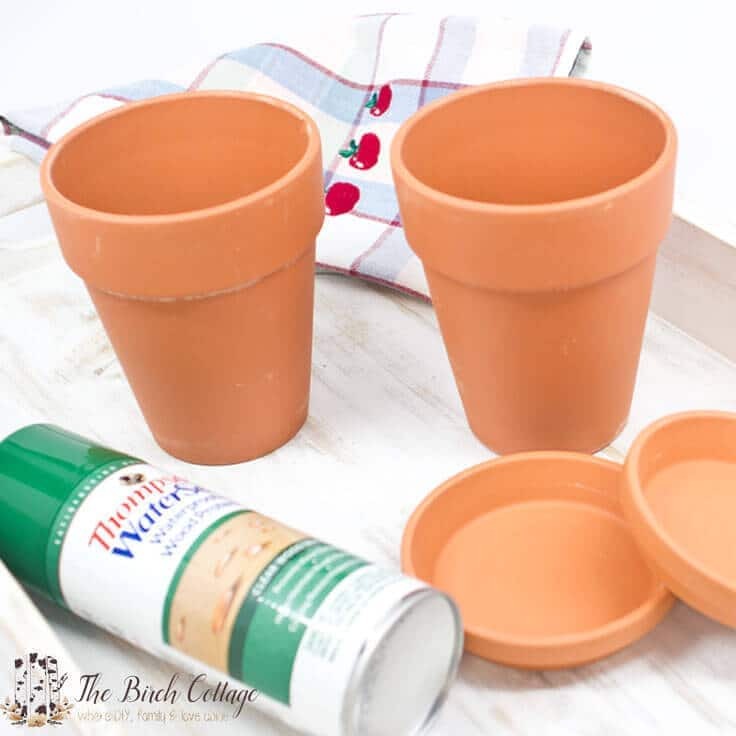 I’m Pam from The Birch Cottage and I’m back again this month to share with you How to Paint Terra Cotta Pots. 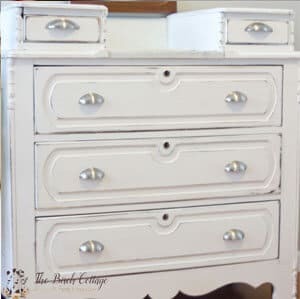 This is an easy way to add some shabby white style to an ordinary terra-cotta pot. I love the simple, clean look of white decor. White candles, white candlesticks, white picture frames, white trim and even white terra cotta pots! This project may be a little late for Mother’s Day, but it’d make a great anytime gift. I love fresh herbs. Actually, I love fresh vegetables and fresh fruit as well. However, my family spends most of our summers camping, visiting family and it leaves very little time for tending to homegrown produce. I may have had to give up my vegetable garden, but I refuse to give up on having fresh herbs. My most favorite fresh herb is Rosemary. 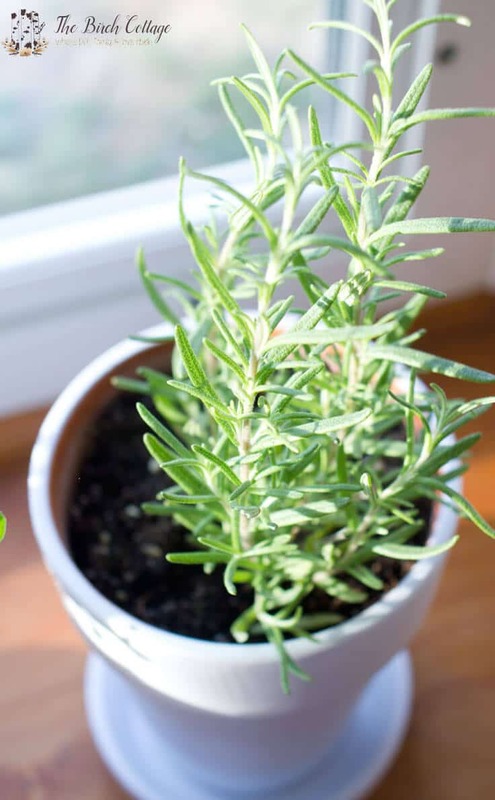 Rosemary is fairly easy to grow (just don’t over water it) and it smells absolutely amazing. Plus, there’s nothing quite like the taste or aroma of fresh Rosemary added to chicken or pork. Oh, yeah, you can even add fresh Rosemary to butter for a fantastic herb butter. 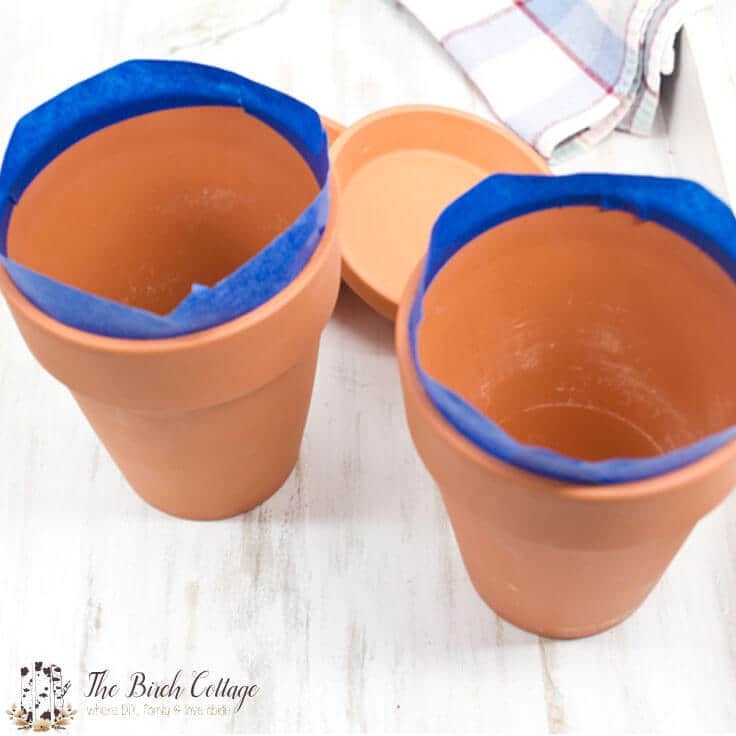 But, today I want to share with you how to paint terra cotta pots. First, you’ll start with your terra cotta pots and trays. Before you begin, you’ll want to dust off the pots to remove any dust or dirt. If you get the pots wet, you’ll want to wait at least 24-48 hours before painting your pots. Terra cotta is very porous and you need the pots nice and dry before painting. After you’ve cleaned your terra cotta pots, you can apply water sealant to the inside of the pot. This step is totally optional. 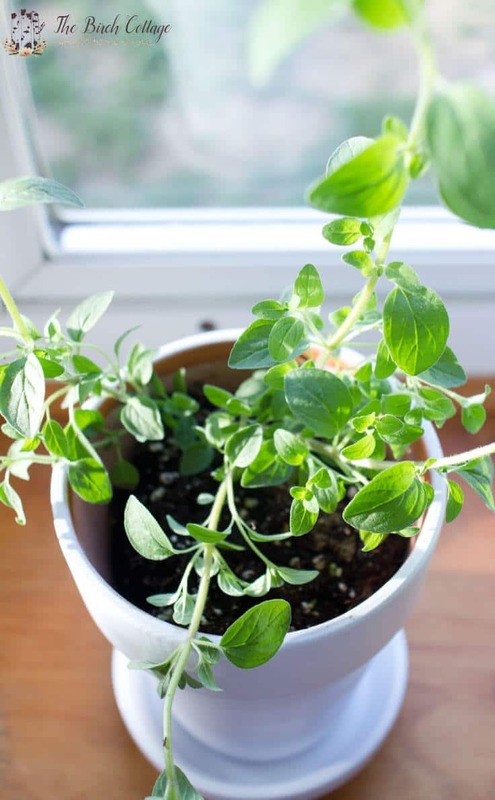 I recently read that applying the waterproof sealant may help extend the life of my herbs. Since I’m unable to water my herbs regularly during the summer, I need the plants to retain the moisture in their soil. Clay pots are very porous and allow for the seepage of water. I can’t personally attest to how well this works, but I’m going to give it a try. Before applying the sealant, I taped off the top edge of the inside of the pots. Just follow the directions on the water sealant can to apply. I applied two coats of white primer to the outside of the terra cotta pots and trays. You’ll want to apply light even coats to prevent the primer from running or pooling. The 4th and final step in how to spray paint terra cotta pots is to simply apply spray paint. Again, I used two light coats of spray paint to obtain a nice even coverage. Once the outside of the pots and trays were dry, I turned them over to spray paint the bottoms and under the rim of the top of the pot and tray. 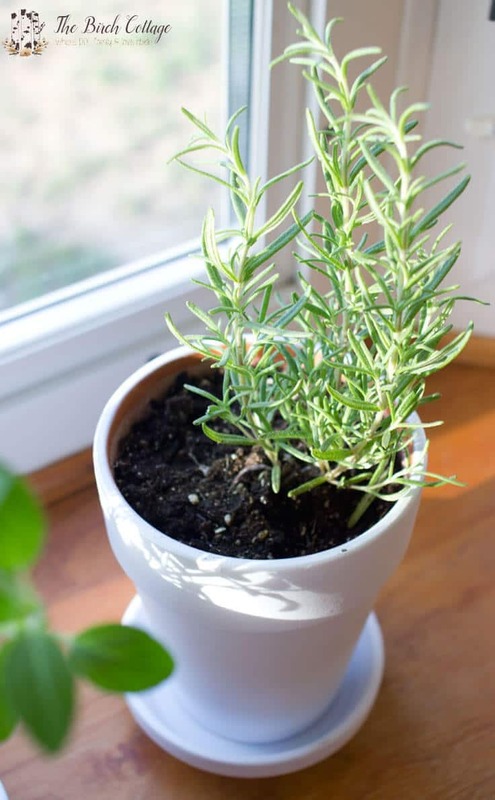 Once your pots are dry, you can then fill them with your favorite herb (Rosemary), succulents or plants. I planted Rosemary in one of my pots and Basil in the other. I just think the white is stunning! Below is my Basil plant. I still need to add a little more potting soil, but otherwise my pots are ready to grow something aromatic! It’s amazing what you can do with a little bit of spray paint. As you can see, the clay terra cotta pots are just well, kind of dull and boring. Of course, you could use any color of spray paint, I chose white. I love the clean, crisp look of the white pots. 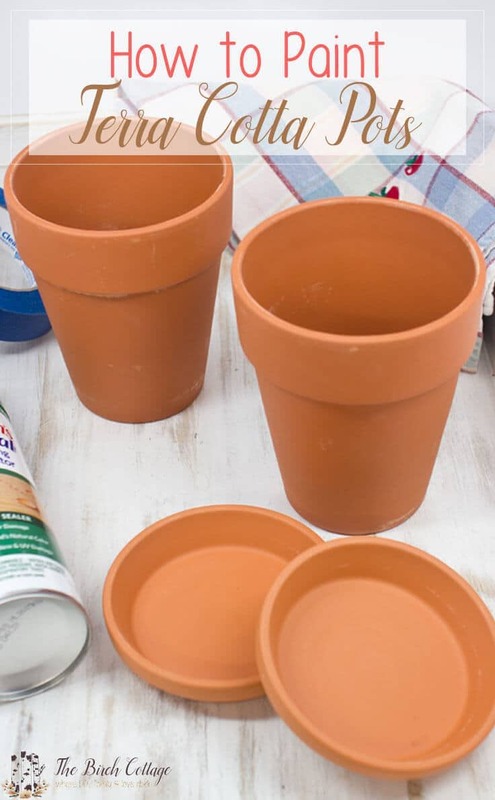 Spray painting terra cotta pots is an easy DIY project that anyone can do! 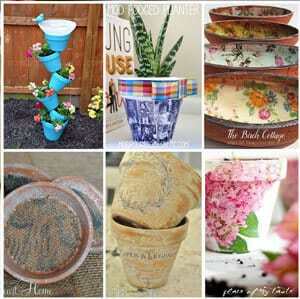 I hope you found this how to paint terra cotta pots tutorial helpful. So what are you waiting for? 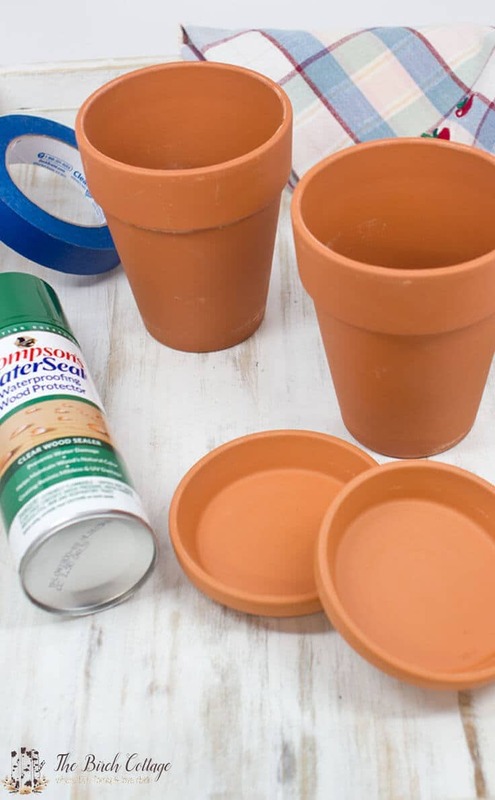 Grab some terra cotta pots and spray paint! Looking for more terra cotta pots inspiration? 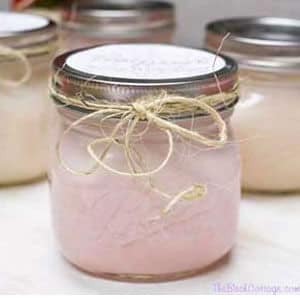 You won’t want to miss these other great craft ideas! 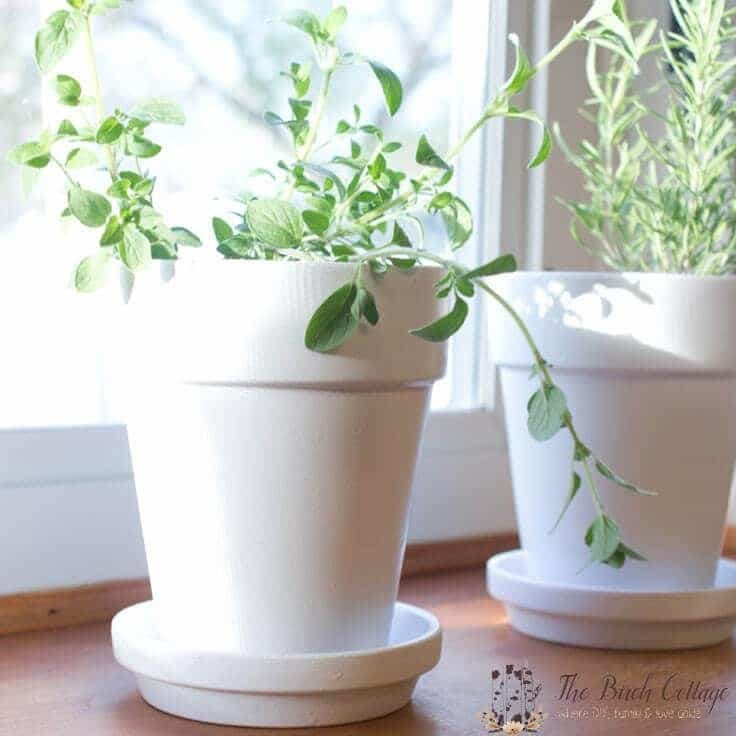 These DIY Modern Plant Pots with Paint Pens are another great way to customize your planters quickly and easily. Did water seep through the planter? Did the sealant help? I thought the sealant would help since I painted the pots. Based on my experience, I would not recommend the use of the water sealant. It did seem to protect the paint finish better, but my plant didn’t grow as well. I’ve had a couple of the painted pots peel in a couple of places, but I just touched them up with more spray paint. And that’s been after a couple years of use.